Paddy Ashdown's vitriolic attack on the prime minister for refusing to disassociate himself from the No to AV campaign's 'lies' has been dubbed 'pathetic' and a 'mistake' by a senior public affairs expert. On the morning that the Liberal Democrats face a trouncing in the council elections and the likelihood of defeat in the AV referendum, former Lib Dem leader Ashdown gave statements to The Guardian and Times newspapers attacking David Cameron. Ashdown’s words follow the No to AV campaign’s personalised attacks on Clegg, accusing him of broken promises on tuition fees and spending cuts. Bell Pottinger Public Affairs chairman Peter Bingle responded to Ashdown’s words: ‘The British public don't like bad losers. Lord Ashdown's comments are a mistake. The Lib Dems are having a bad time. This is hardly surprising and wise heads understand that. However, Portland partner George Pascoe-Watson said that the attack amounted to ‘fairly smart press handling’ by the Lib Dems. Pascoe-Watson added that he did not think the attack would damage Cameron and Clegg’s relationship as they have ‘chemistry’. Freelance public affairs consultant Lionel Zetter said that Clegg turned to Ashdown to express his frustration because ‘he cannot trust some of his senior colleagues, who are already manoeuvring for his job’. 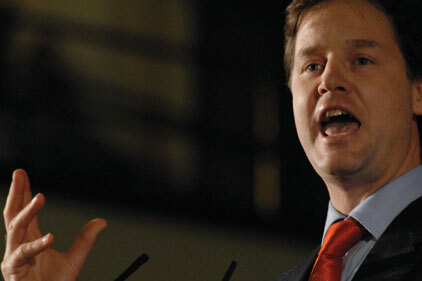 ‘Both Cameron and Clegg were under pressure from their own parties to take the gloves off in the AV campaign. The difference is that the Lib Dems were between a rock and a hard place. The rock was the complicated and illogical nature of AV, and the hard place is government,’ added Zetter.